At the age of thirteen, most of us spent our free time obsessing over our favorite celebrities, our latest crushes, or how much we couldn’t wait to grow up and move out of the house. Christian Louboutin, one of the greatest shoe designers in the world, was about ten steps ahead. At the tender age of 12, Louboutin had already been expelled from school three times and moved out of his parents’ house. His mom was extremely indulgent and liked to please her children, which granted Louboutin tons of freedom at a very young age. It wasn’t long after that the Parisian troublemaker began sketching his own designs. He soon went to work at Folies Bergère, a famous cabaret in Paris. Here Louboutin was able to fulfill his dream of creating shoes for the dancers. After a stint in Egypt and a year in India, Louboutin returned to Paris with a portfolio of designs for elaborate high heels. In the early 1980s, the aspiring shoe designer landed a job with Charles Jourdan who taught him the ins and outs of the shoe business. Soon after, Louboutin became an apprentice in the workshop of Roger Viver, the designer who claims to have invented the stiletto. Throughout the decade, he also freelanced for Chanel, Maud Prizon, and Yves Saint Laurent. After considering going into landscaping (talk about a change of scenery), he decided to open his own shoe salon in 1991. Those signature red-soled Louboutin shoes were inspired, not only by his trip to the museum, but by his assistant! At the time, she was painting her nails a bright red color. Louboutin took one look and decided to color his soles red to create a statement. “I thought ‘Oh my God! Red soles are so flirtatious,’ and my customers asked me not to stop,” he told Footwear News. This statement was actually what attracted his first customer – Princess Caroline of Monaco! Her praise of the store greatly increased Louboutin’s customer traffic and soon, well-known designers, such as Diane von Furstenberg, followed. From there, music artists began wearing his stilettos in their videos and more stores were opened. By 2011, Louboutin became the most searched-for shoe brand online! 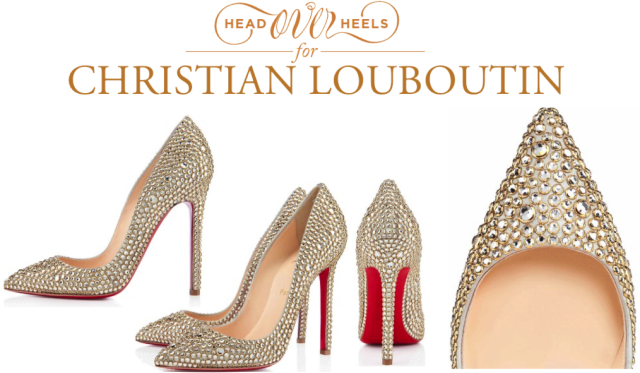 While we all might not have a pair of red-bottom Louboutin stilettos sitting in our closet, we’ve got to give credit to Christian for bringing the forbidden shoe back to the forefront.